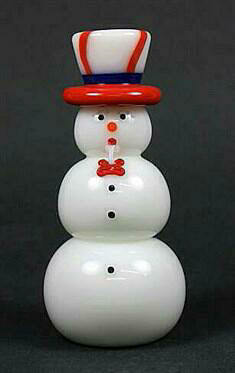 Vitrix Uncle Sam Snowman with colorful white hat with red brim and bow tie. Approximately 6.35" h x 2.69" w. Signed Vitrix & dated. Twenty five different snowman you can choose.